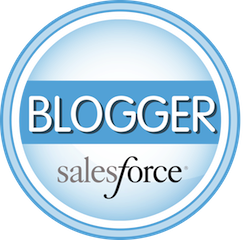 ← What Does Salesforce Mean By "Enterprise Analytics?" What’s a Good Salesforce Administrator Worth? "What should we pay our Salesforce System Administrator?" "Where should the headcount reside in our company?" "What should we be looking for in a Salesforce Admin?" They’re questions that come up frequently with my clients as well as in the Salesforce community. It’s a hard thing to nail down and there are a lot of variables that come into play. For the context of this conversation let’s assume we’re talking about an administrator that will be responsible for the ongoing "care and feeding" of an existing Salesforce instance – user support, ongoing configuration and platform growth, analytics, release maintenance, and data work. I was tempted to answer this in one word – yes – but I though that might be a bit blasé. If you’re relying on Salesforce for huge chunks of your business, you really should make the investment in a Certified Administrator. It really cuts out the people who have merely worked with Salesforce from the folks that have invested the time to learn and understand the platform. It comes down to size of the company and the strategic value of Salesforce to that company. The more customization, complexity and number of users, the more your administrator needs to be a well-versed Salesforce ninja, and certification lets you know that individual has the knowledge. The peril of relying solely on experience is that if a candidate has only managed a single Salesforce org, they rarely get the opportunity to explore new areas of the platform. What they know is solely based on how that particular company used the platform. Have they ever configured a portal? Have they ever setup a knowledge base? Have they ever dealt with complex security? If a person has managed multiple orgs form different companies, then experience might be enough. Personally if I were hiring someone to do quite a bit of heavy lifting in Salesforce, but they look to have a lot of "hands-on" experience, I’d make obtaining a certification a condition of employment (show me you’ve got skills!). When do I need a full time administrator? Someone at your company needs to "own" the responsibility for Salesforce administration, and I hate to break the news to you, but the VP of Sales shouldn’t be that person. For people working at a small business, the role of "Salesforce Administrator" is one of the many hats a person wears at their company. However, at some point Salesforce administration needs to be a person’s primary role. If you have 25 to 50 (or more) users, you’re probably at the point where you could use a dedicated resource for Salesforce administration. That’s not to say that person can’t do other things, but Salesforce work is probably consuming the majority of their time. Where in the organization do they belong? Traditionally I’ve seen Salesforce administrators as either part of Sales or Sales Operations, or they have resided in IT. If an admin’s primary function is to support Sales, then the former. If not, then they are likely falling into a traditional IT support role (more so if Salesforce has a lot of integration with legacy systems or the admin’s primary responsibility is to support end-user questions). For companies that are call center centric, then administrators typically fall in an operations role or again with IT. The new department that Salesforce administrators are starting to be associated with is Marketing. With the Salesforce.com’s recent acquisition of Radian6 and Buddy Media, and the proliferation of marketing automation platforms such as Pardot, Marketo and Eloqua, (and new features like Sites.com), the reliance on Salesforce from marketing departments has grown tremendously. Are Salesforce developers worth more that administrators? Good Salesforce developers are more rare than good Salesforce administrators (i.e. it is harder to learn to code vs. learning the declarative configuration options in Salesforce.com). Some Salesforce administrators can manage development resources, some can’t. Administrators that can manage development resources are worth more. There are those extremely rare instances where a Salesforce Administrator is a master of both declarative (button-click) configuration and configuration using code. Those that are fluid on both methods are worth more than those that configure solely with clicks (i.e. less farming out development requirements to other departments or outside the company). NOTE: Having the 401 Developer Certification does not mean someone can code. In fact there is NO coding knowledge required to pass that exam! Are they good with data? Salesforce administration inevitably involves working with data both inside and outside of Salesforce.com. Being fluid with the native import wizards, the Data Loader, and the "vlookup" function of Excel come into play frequently. There will be lists to be imported, data to be cleaned up, and reporting analysis that will require exporting information outside of Salesforce to be furthered massaged in Excel. What profile makes a good administrator? I’ve seen IT generalists and folks in sales support or operations roles make solid administrators. If I had to choose, Business Analysts (BAs) I think are a natural fit. By definition they can analyze problems, formulate solutions, understand data, and in a lot of cases they have the people skills to work directly with c-level and department managers on initiatives. They understand the needs of the business but technically dangerous enough to know how to get it done. Lastly they know how executives like to see data and that’s important when configuring Salesforce analytics. Do they have a voice in company decisions? I raise this variable because I think this is an extremely important factor in accessing a Salesforce administrator’s value to a company. If the administrator just a "doer" (and simply implementing the decisions of others), they have less value to an organization versus an administrator that is providing options and strategic direction on how to solve business problems with the Salesforce platform. An individual that is involved in the decision making process, or even better the strategic direction of a company, has inherently more value to an organization. Take this contribution in the context of a small and large company and you add even more weight to this variable. An individual in a large company that is that has input on strategic decision making has more value than one in a small company – the dollars at risk and financial benefits are by definition on a larger scale. Let me take a different twist on this topic. Is your Salesforce administrator architecting solutions for your company, or just managing the status quo? There is a difference! It might seem obvious, but a system administrator that "plays well with others" is critical for any organization. Good administrators are able to have the patience to deal with end users questions as well as interact well and handle the politics involved with a company’s leadership team. It’s not a skill to be overlooked. No one likes to deal with a difficult personality – life is too short. I could go on about this topic, but I think you get the idea. Can a Salesforce administrator make six figures? If in the right part of the country AND they are providing strategic direction for a larger company then absolutely. If it is a small company and Salesforce administration is NOT their primary role, then I think you have to judge their salary based on their primary contribution to that company. If the scenario is a large company and a Salesforce Administrator is simply supporting lots of users, then I think their compensation is more aligned to general IT support. If they are making updates to the configuration but are still not the one making the architecture decisions, they are worth more than someone solely supporting users. Do strong Admins make good Salesforce Consultants? Do you have the right stuff to be a Salesforce Consultant? Read our thoughts on what makes a good Salesforce Consultant. This entry was posted in Administration, Training & Certification. Bookmark the permalink.